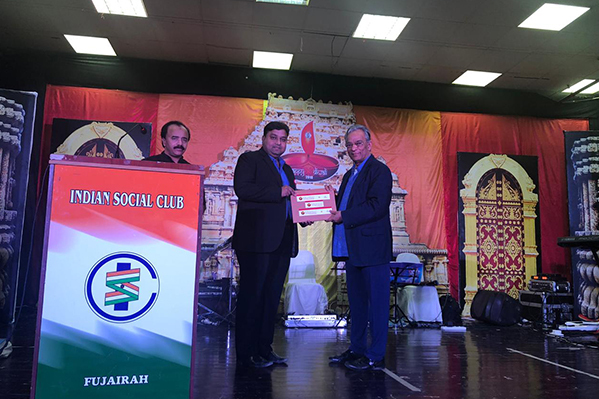 Thumbay Hospital – Fujairah, the leading academic hospital under Thumbay Group’s Healthcare Division joined the celebrations of Indian Social Club – Fujairah, ‘Indian Cultural Festival – DIWALI 2018’ on 09th November 2018, with the aim of promoting health awareness among the attendees and to emphasize the importance of regular checkups for early detection and cure of diseases. A Memorandum of Understanding was signed at the event between the hospital and the club, according to which members of the club would enjoy special discounts on services availed at Thumbay Hospital Fujairah. The MoU-signing event was presiding by Dr. Putthu Rahaman – President of the Indian Social Club, Fujairah and the Guest of Honor was Dr. Mohammed Faisal Parvez – Chief Operating Officer, Thumbay Hospital Fujairah. The Management of Thumbay Hospital, Fujairah announced that the hospital has plans to conduct more health awareness activities across various organizations in the Emirate. Thumbay Hospital Fujairah is a 60-bed multi-specialty hospital having JCI & SKEA accreditation.